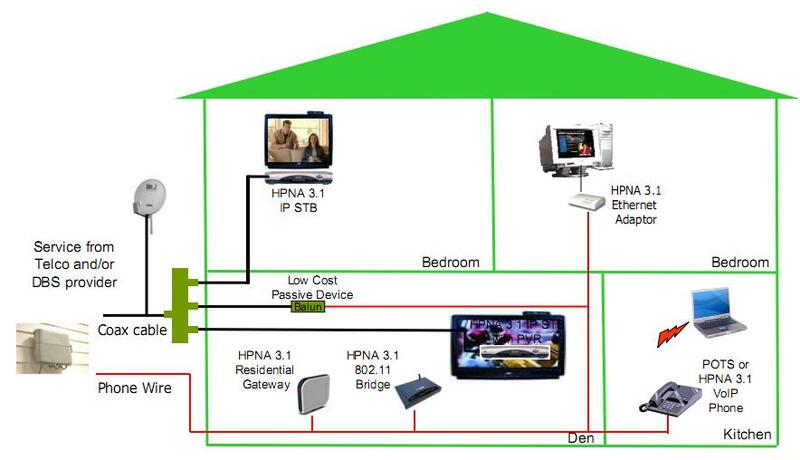 In your home you have a very simple idea of how your Network look and operate. In reality you have a network that combines 3, 5 or even 10 devices to the internet via a central access point. 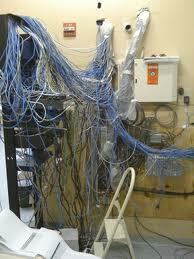 Your wiring may not look this bad but it still may need to be cleaned up and organized. Kentucky Communications will look at what you have, give you a Clear and Concise appraisal of what can be done to improve things and then give you an estimate of cost. Network cables running parrallel to electrical wires will pickup a static hum and lower the network's efficeincy. Stress on cables hanging without support can cause damage to wires and eventual loss of signal. Send an email being specific on what you are looking for. Include what you are looking to accomplish, When you need this acomplished and how much you are looking to spend. Include your contact information. Someone will return your email with 24 hours or contact via telephone.